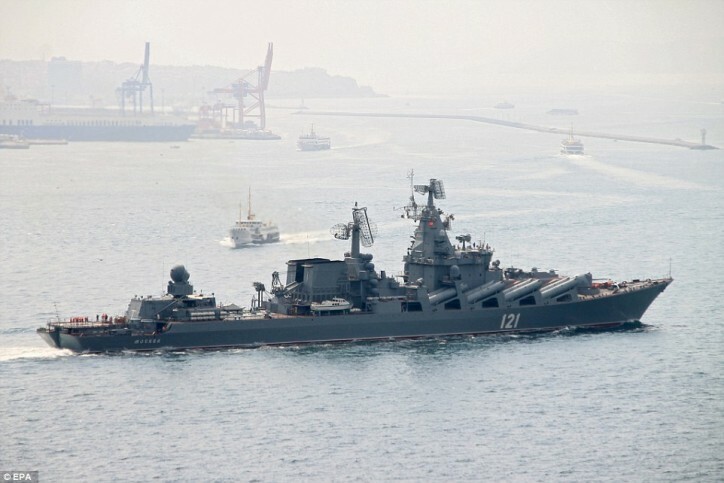 Russian President Vladimir Putin on Tuesday (Nov 17) ordered the Russian missile cruiser Moskva, currently in the Mediterranean, to start cooperating with the French military on operations in Syria. Putin's statement came as Russia's defense minister said its warplanes have fired cruise missiles on militant positions in Syria's Idlib and Aleppo provinces. The Islamic State group has positions in Aleppo province; Idlib has the presence of the Nusra Front militant group. Defense Minister Sergei Shoigu also told a briefing conducted for Putin on Tuesday that Russian bombers hit Islamic State positions in Raqqa and Deir al-Zour. Shoigu said the cruise missiles that hit the Aleppo and Idlib positions were fired from supersonic Tu-160 bombers and from Tu-95s, long-distance turboprop strategic bombers that started from Russian territory.